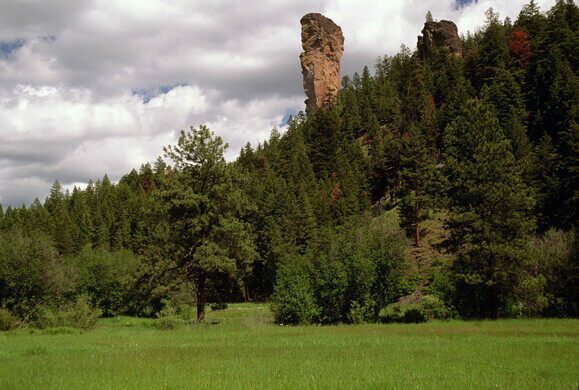 You can see this giant pillar from the road, as it pokes above the trees like some great stone guardian of the forest. It looks like a giant outlier; a lonely monolith left isolated within a sea of evergreens. Private collection of art inspired by cabinets of curiosity. Bridges, terraces, and replicas of historic structures all built of rock and petrified wood by one man. This extinct shield volcano is the lightning rod of the Cascades. 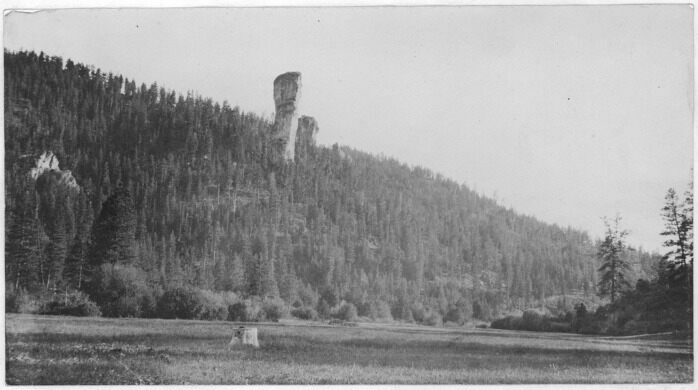 Stein’s Pillar is one of Oregon’s overlooked geological gems. If you hike to the stone, you won’t have to fight through throngs of hikers to spend some time within its impressive shadow. 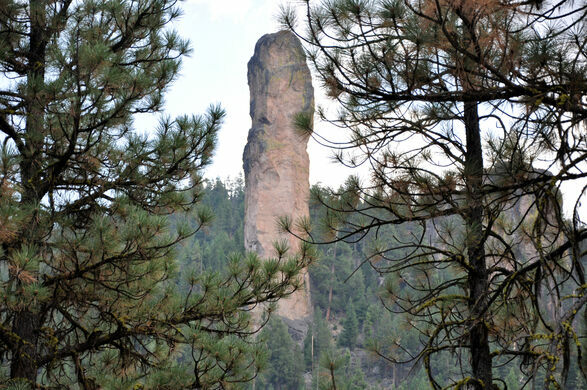 The 350-foot-tall pillar is actually a remnant of an ancient volcano. It’s essentially a relic from when the Ochoco Mountains once spewed spurts of lava and filled the air with clouds of ash, dust, and debris. Thankfully, the landscape is much quieter now, and the hike to the pillar makes for a pleasant outdoor experience. Today, rock climbers try their hand at climbing up its sleek sides. Even if you’d prefer to keep your feet on the ground, touching the ancient natural skyscraper still feels like an almost magical experience. 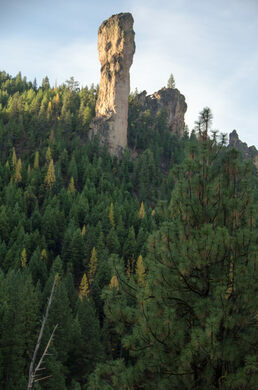 It is best viewed at a distance from the Mill Creek Road; however, there is a relatively easy trail to the base of the pillar. There are no facilities (water, restroom, etc.) of any sort at the trailhead, so be prepared. The hike to the pillar is about four miles round-trip. Oregon's unexpected high desert, displaying layers of time in a colorful show. An old World War II hangar holds 20 vintage aircraft and the rare opportunity to take a ride in a 1940s warbird. Post office plaque commemorates local resistance to a cult invasion. These naturally occurring but rare geological formations are each about the size of a small house.